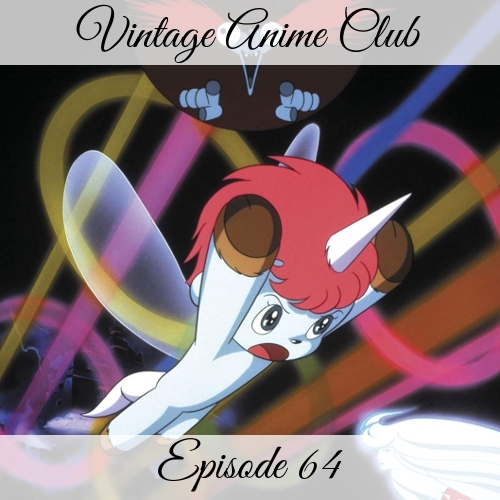 On this episode, special guest Bryan joins Dennis, Kate, and Karen to reminisce about the second Unico movie, Unico in the Island of Magic. Will we relive some more traumatic experiences? Some fun things we talk about: the West Wind is still bad, hazing cats, magical flutes, Kaloo-cuckoo, Tyrannosaurus Solo Cup, and the worst castle building materials. And Bryan eventually gets Kuruku's name correct. Or is it Kukuruku? Thanks to special guest Bryan Newton for joining in. Listen to his podcast Animation Success Stories, and follow him on Twitter @DarkKingZoro.